Stealth is something that has been integrated into numerous video games over the last decade, and over that time the term “stealth” has meant less and less as even the most basic principles of the term are ignored. Big budget franchises such as Assassin’s Creed all have elements of a stealth game hidden deep within their code, but it’s become somewhat diluted over the years. The developers over at Linceworks appear to have taken note of this problem, as Aragami goes back to basics in a return to the Tenchu-style of stealth gameplay. 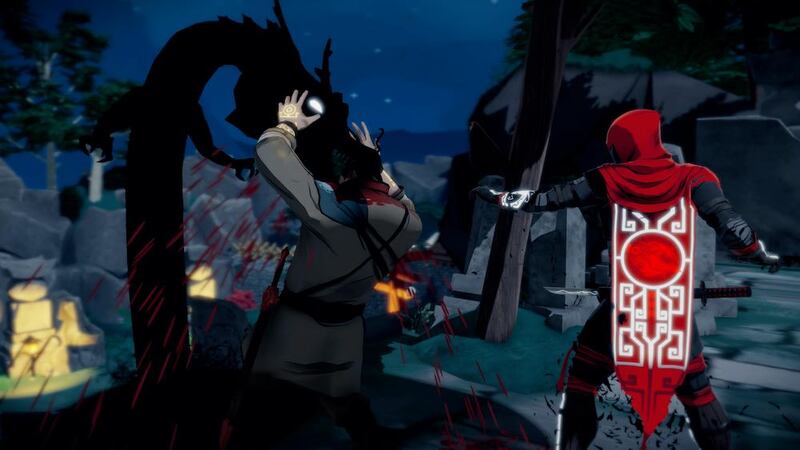 Aragami is a third-person stealth game that casts you under the hood of an undead assassin, summoned by the mysterious Yamiko to liberate her from her captors, the Kaiho (the “army of light”). Armed with the ability to control the shadows with an impressive array of Shadow Powers, the vengeful spirit must take down the legions of the Kaiho whilst also discovering the secrets of his own past. 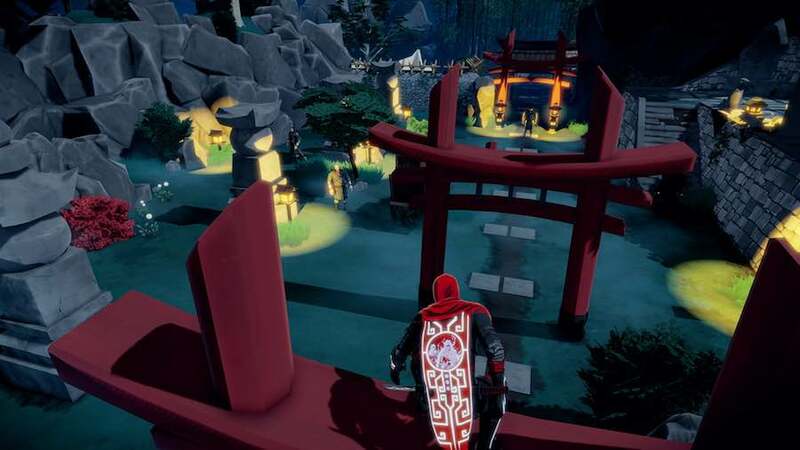 As the Aragami, you sneak through a series of intricate level designs, sticking to the shadows and observing guard movements and patrol patterns to find your way through. Aragami is very stripped back, taking stealth mechanics back to basics, but it’s all the better for it. Implementing the fundamentals of stealth is something that the team at Linceworks have done perfectly. The gameplay feels solid, polished and exactly what you want from a game of its type. Guards will hear you take out a target if they are too close and then come to investigate. If they find a body, they will sound the alarm and the entire division will start hunting you down. In Assassin’s Creed, even if a guard finds a dead body, it won’t take them long to give up searching for you and return to their position. Aragami must therefore be praised for doing what all these bigger budget titles seem to forget is a basic principle of stealth logic. It is far less forgiving for sloppy execution. When the division is alerted, the game becomes a lot more difficult. Patrol patterns change and increase making it more challenging to slip by unnoticed and if they find you, all it takes is one hit and you’re dead. And with checkpoints not being as frequent as you might like, it’s best to take things slowly and quietly. It’s all about patience and precise movements. Even with a full arsenal of Shadow Powers, it is impossible to take them head on. This is reflected and encouraged by the scoring system that is displayed at the end of each level. You are marked down for each body that is discovered, for the amount of times suspicions were raised and for every alarm that gets triggered. However, you are rewarded for getting through completely undetected, for locating all collectibles and for not killing a single soul. But these are not requirements; Aragami never tells you how to play, but rather suggests how you can. It offers a lot more replay value for those wanting to beat their own score and achieve each objective. Additionally, any collectibles that you may have missed can be picked up at a later point and be used to increase your inventory of powers, which then opens up another realm of possibilities. As well as having solid gameplay, Aragami similarly has a good story. The dialogue, for the most part, is beautifully written but the expressionless faces of its characters struggle to bring home the emotional response. With the developers’ lacking in resources, it is understandable why this is the case, but it is such a shame considering that the story and its themes have all the makings of a great narrative. It simply requires the players’ imagination to bring it completely to life. Regardless, it is a thoughtful and well-devised story that ties together the levels and keeps you engaged with the characters and their goals. There are some niggles that start to be quite frustrating. The framerate can be a bit sloppy, especially in built up areas with greater numbers of NPCs, which tends to spoil the smooth and elegant art design. There are also moments when you want to Shadow Leap to a specific spot but the game forbids you from doing so. It is impossible to jump to areas that are covered by light which is made abundantly clear at the beginning of the game, but there are even times when you don’t seem able to jump from shadow to shadow. This isn’t a running problem and only happens infrequently, but can make it especially difficult when trying to make a quick getaway. Similarly, it’s never made clear if you are completely invisible to enemies when hiding in shadows. At one time, a guard could be staring right at you but appears to not have spotted you, but on other occasions, you are spotted, hunted and then killed. The detection system does alert you when you are being observed, and most of the time it’s pretty accurate. Unfortunately it’s the odd moments where the game doesn’t seem to abide by its own rules where the inconsistency can be quite frustrating. But these aren’t problems that can’t be handled; they are simply a small thorn in the game’s side, because apart from these little discrepancies, Aragami is a fantastic game. As a spirit of the shadows, the Aragami can call upon a varied selection of abilities in order to make their job easier. Shadow Leap is one you are given right from the start and is the one you will use most throughout the game. It grants you the ability to jump from shadow to shadow, sneaking behind enemy lines or luring unsuspecting guards into a dark corner where you can dispatch of them quickly and quietly. Scrolls can be found across each map granting you skill points that can then be spent to unlock new powers or upgrade your pre-existing ones. This allows for a degree of customisation to the style you want to play. Scrolls are not signposted on the map unless you unlock the required ability, so it is best to spend them wisely. One ability gets rid of the bodies you leave behind so that they are not discovered by patrolling guards, which compliments a player opting for the stealth approach. For those looking to spill more blood, there is an arsenal of offensive powers that allow you to set traps on enemy’s backs, blind them momentarily or even summon a Shadow Dragon to devour them completely. When fully unlocked, your array of powers can make you feel unstoppable. Certain powers can only be used three times unless you find a shrine to reset the bar, but others simply require a small amount of Shadow Power that is indicated on the Aragami’s cape. These powers do feel like you can use them recklessly with little cost, but the developers have tried to balance this out by limiting the amount of times you can use more devastating abilities. It all depends on how you want to play. With its elegant design, solid gameplay and a narrative that keeps you engaged, Aragami is a wonderful return – and tribute – to the old formula of classic stealth. There are some niggles here and there that can be rather irritating, but it’s not enough to put a black mark on this otherwise great game. Since we are so used to bigger, AAA titles these days, you may need a brief period to readjust. I wasn’t sure myself at first, but when I put the hours in, it made me realise why games like this are sorely missed today. Aragami is a title that deserves a bigger budget, and maybe sometime in the future, that’s what it’ll get. But for now, anyone with a love for classic, stealth-based games should not pass up this one.